ALERT: The PA Department of Health has declared a Hepatitis A outbreak in Allegheny County . 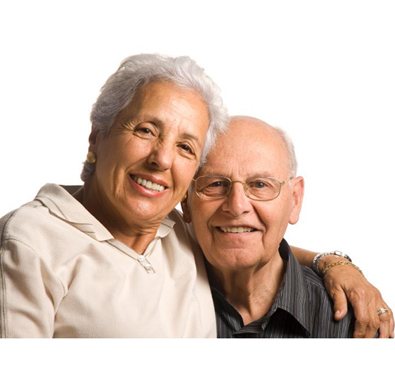 . . Click here to see the PA DoH Health Advisory . . . 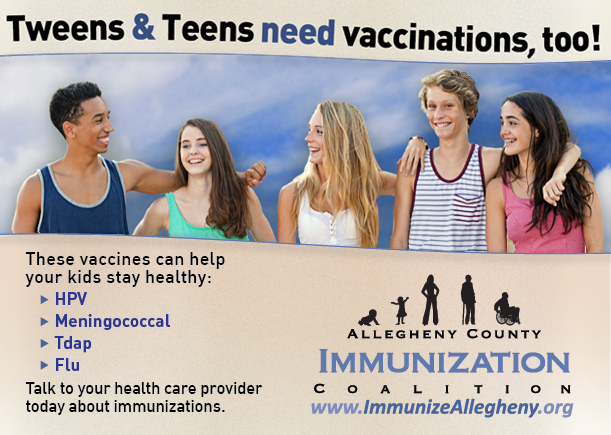 The Allegheny County Immunization Coalition is Western Pennsylvania’s leading resource for timely, accurate information on vaccines and immunization, and the diseases they prevent. 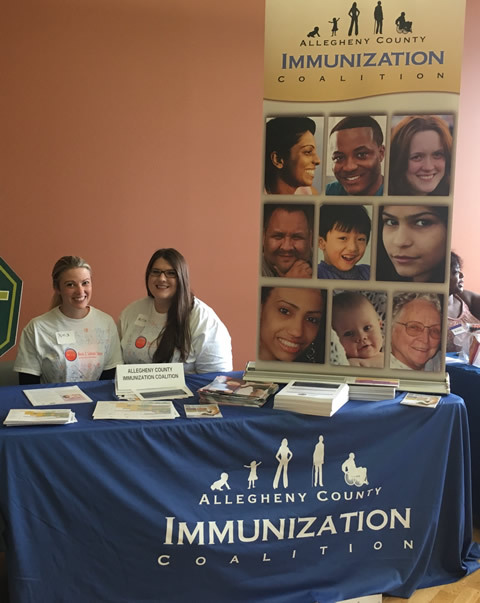 Infection Preventionists Nina Tatar (left above) and Alyssa Parr (right), are not only influenza activists at UPMC but also work hard in the community for vaccination awareness. On July 23, 2017 as part of Allegheny County Immunization Coalition efforts, the two provided the PA Department of Health regulations to parents of young school children at National Council of Jewish Women’s Annual Back 2 School store. Are you passionate about spreading the word? Use our Contact Form to get involved with ACIC at other community outreach opportunities in Allegheny County. 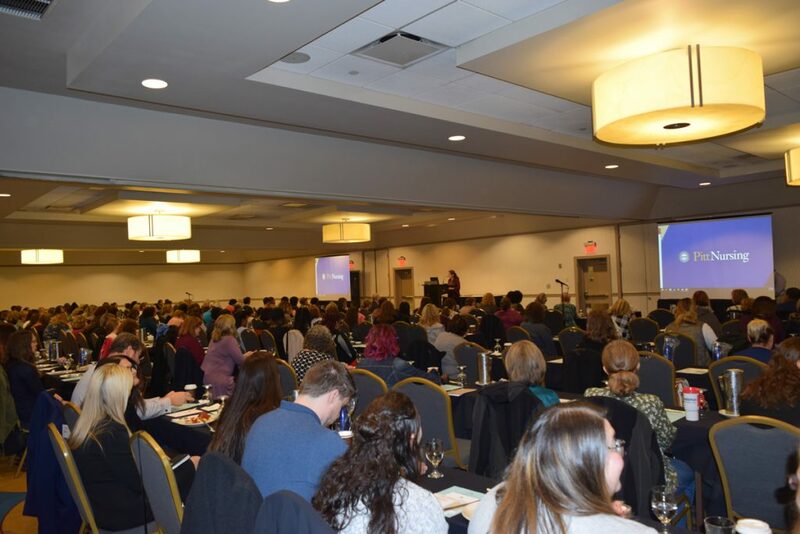 The 13th Annual Immunization Update Conference took place on November 1, 2018 – Thanks to everyone who attended! 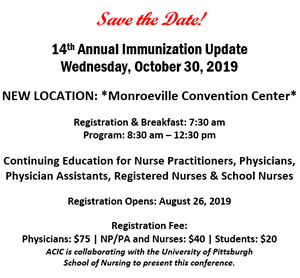 A capacity crowd attends the November 1, 2018 Immunization Conference – the 13th annual installment of this vital educational and informative networking event. 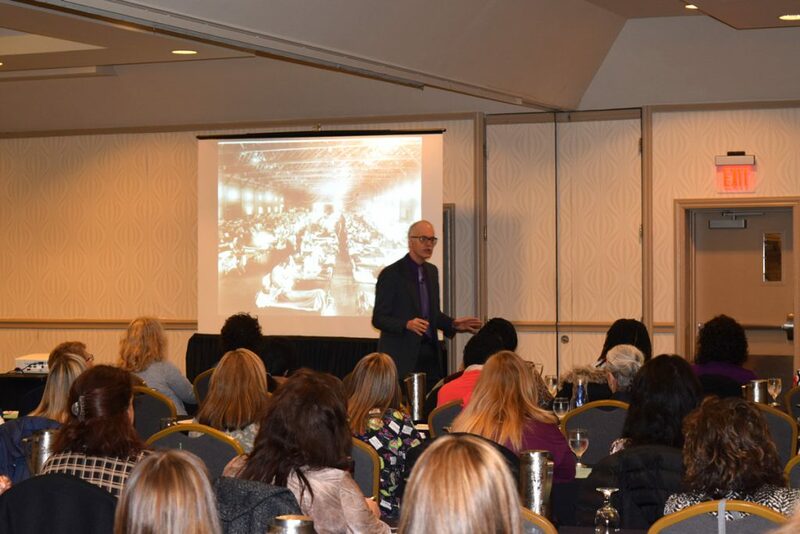 Richard K. Zimmerman, MD, MPH, describes the importance of pursuing “Community Immunity” and the history of vaccinations as Keynote speaker at the 13th annual Allegheny County Immunization Conference. 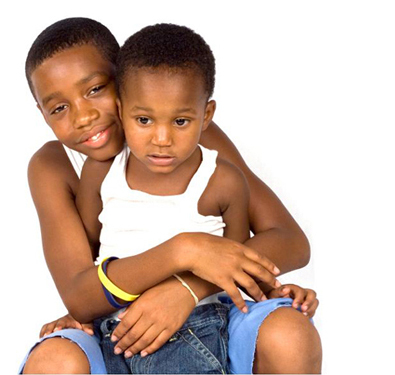 Everyone deserves a healthy life and future. Healthy people can get sick too. 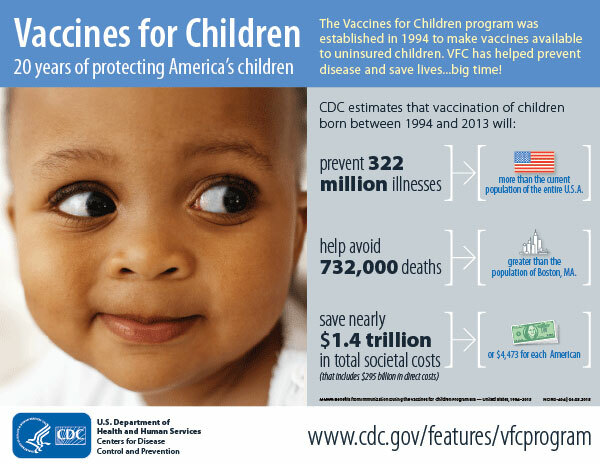 Vaccine preventable diseases are expensive. 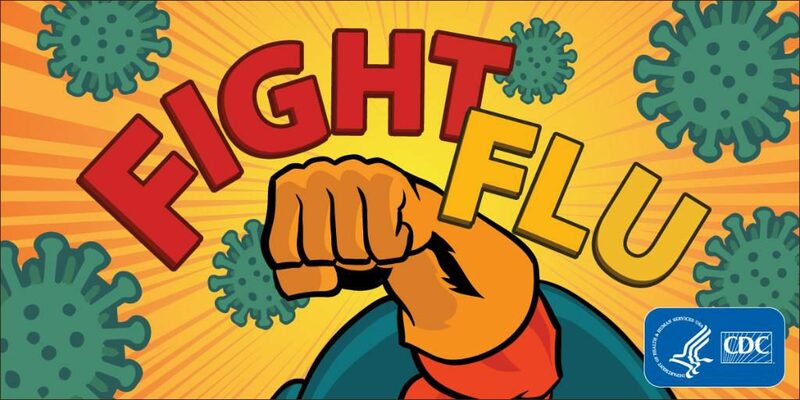 When you get sick, others are at risk! 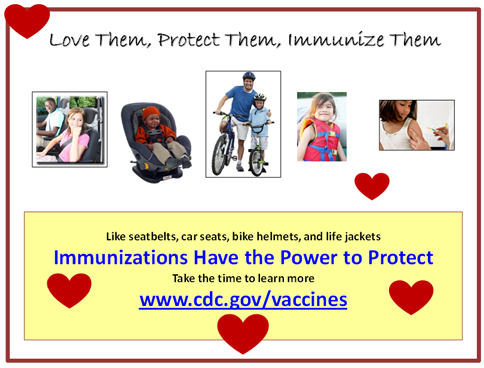 Immunizations have the power to protect. 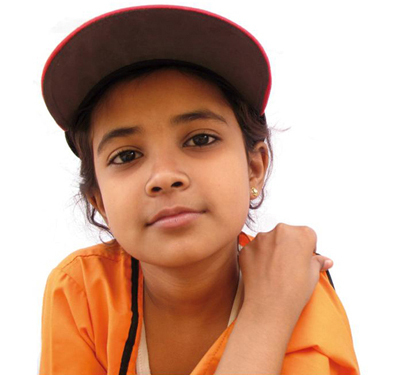 Saying no to vaccine is saying yes to disease. 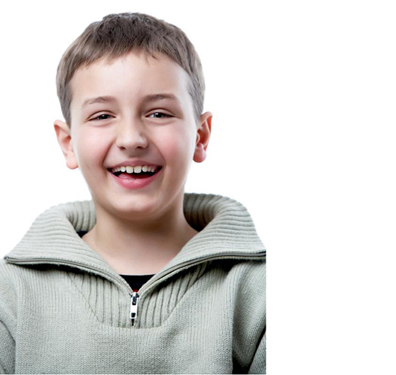 High vaccinations rates benefit communities. 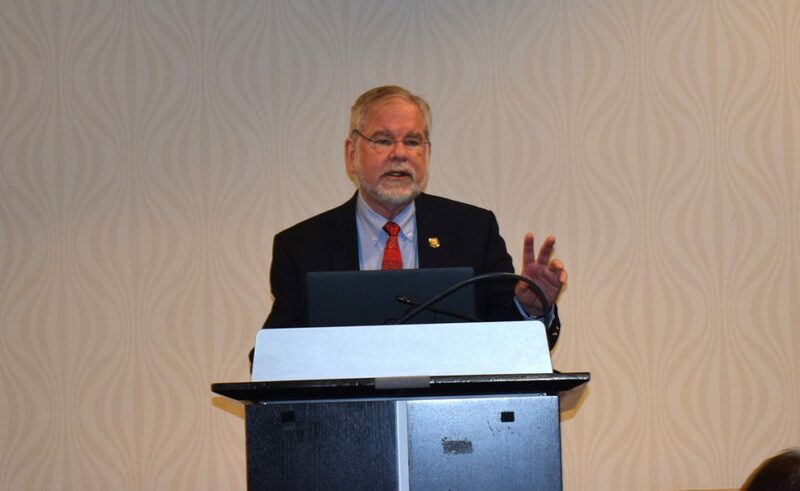 Mark S. Roberts, MD, MPP, Director of the Public Health Dynamic Lab at Pitt’s Graduate School of Public Health, discusses the use of data and statistical analysis in the surveillance of disease prevalence vs. vaccination rates at the 2018 Immunization Conference. 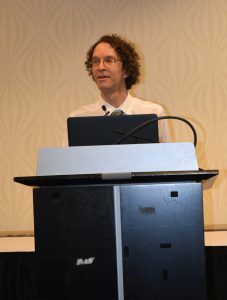 Jonathan Weinkle, MD, FAAP, Internist and Pediatrician at the Squirrel Hill Health Center, discusses his work with refugees and other immigrants in his talk on immunization and immigration at the 2018 Immunization Conference. 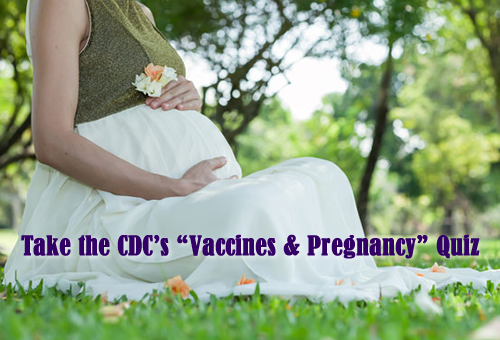 Managed by the Pennsylvania Department of Health, the Pennsylvania Statewide Immunization Information System (PA-SIIS) is a statewide immunization registry that collects vaccination history information. 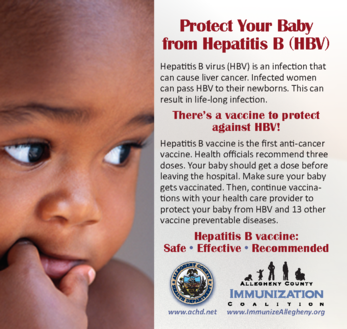 The Pennsylvania Immunization Coalition has developed toolkits to help you with immunization campaigns for your facilities. Visit PAIC here.